Ladies buying a type of salami in Ventimiglia market, Italy. 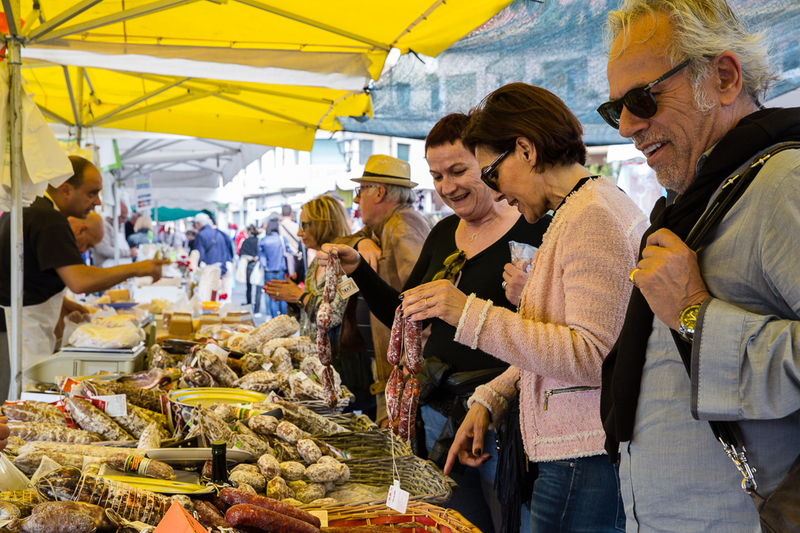 Des dames achetant des grosses saucisses sur le marché de Vintimille en Italie. I really enjoy the eclectic market in Ventimiglia when I'm visiting in Menton and the surrounding area. A feast for the eyes. What a beautiful shot, Mme. Jilly! Wasn't it Bismark who said one shouldn't see sausages or laws being made?